Ford Grand C-Max Boot Space, Size, Seats | What Car? 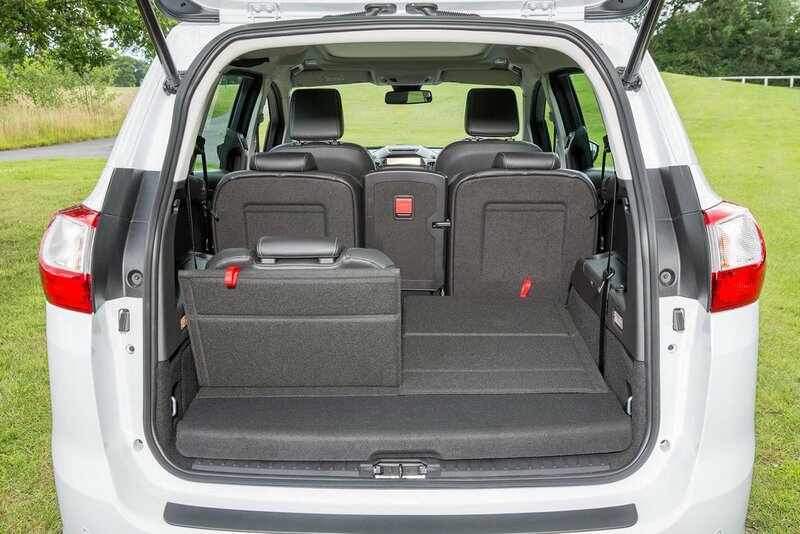 There’s loads of space up front and plenty of storage in the door pockets, centre cubby and glovebox. Those in the middle row will also be comfortable. The outer two seats are a touch wider than the middle one, but three post-booster-seat children will be fine for shorter journeys and two tall adults will be comfortable even over longer periods; fold the middle seat forward and the two outer seats slide backwards and inwards to make enough room for very lanky passengers to stretch out. Mounting three child seats will be tricky in the second row since the middle seat is a bit narrow, but there are Isofix fittings on each seat. You can also fold all the seats down and tilt them forward to make a huge load bay – something you’ll want to do since simply folding them leaves a massive step up in the load bay. 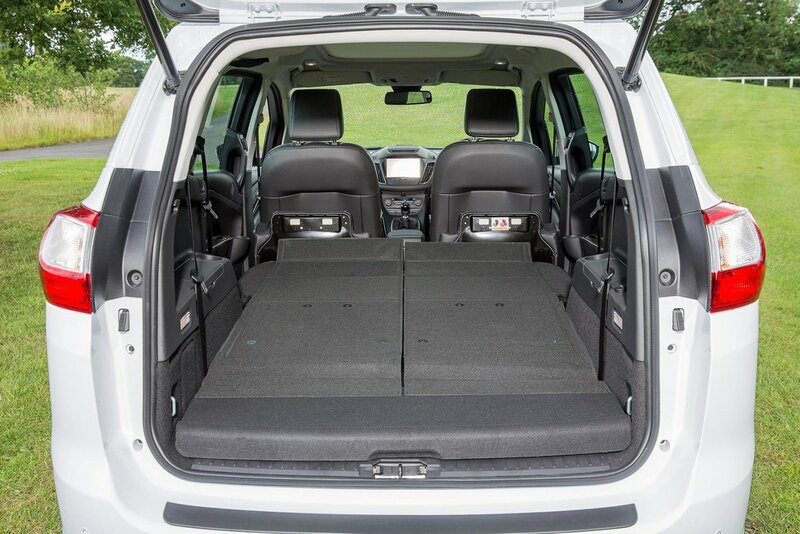 You can also remove them altogether to turn the Grand C-Max into a small van, although the seats are heavy and awkward to remove and reinstall. However, the Grand C-Max does have very good access to its middle and rear rows, thanks to sliding rears doors that leave a large opening. It also means easier access in tight parking spaces. The two rearmost seats are easily pulled up from the boot floor with one hand and folded into place. However, they’re best reserved for kids or at least short journeys if adults are involved. To be fair, that’s the same as in rivals such as the Renault Grand Scenic and BMW 2 Series Gran Tourer, but the Citroën Grand C4 Picasso will accommodate a couple of adults far more easily. 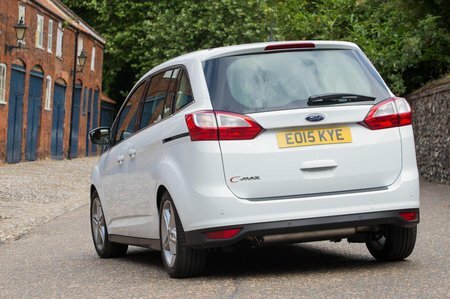 With the rearmost seats folded away, the Grand C-Max’s boot is a good size and will be fine for a big buggy. Unlike the regular C-Max, the Grand C-Max’s boot floor is flush with the lip. A lot of buyers will want to add the Family Pack, which brings rear window blinds and picnic tables on the backs of the front seats; some rivals offer these as standard on higher-end trims, unlike Ford.